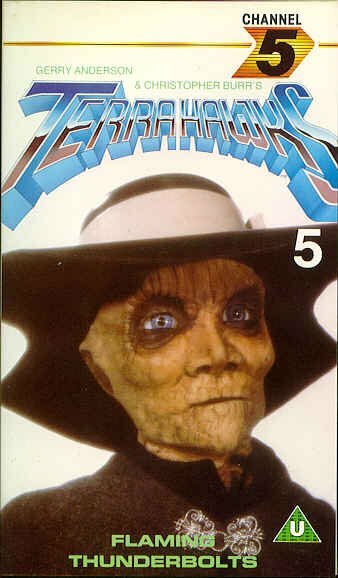 TERRAHAWKS COLLECTABLES, VIDEO TAPES - Channel 5 #5. Video Tape #5- Second Release. By Channel 5, ref CFV 03032. Titled "Flaming Thunderbolts"
Compilation of four episodes. "My Kingdom for a Zeaf" "Play it Again, Sram" "The Midas Touch" "Midnight Blue"